Complimentary higher education matching service CollegeComplete.com (877-543-2655) today announced that it now includes crucial information for those looking to work in those looking to work in the medical records field and those looking to become health information technicians or enter medical billing and coding. Those looking to enter this expanding workforce can now go to http://www.collegecomplete.com/medical-records-and-health-information-technicians and see government statistics about education needs, job growth and salary. Not only is this one of the fastest areas of growth in the economy right now, it also is one of the areas where people have the most questions of how to get started. College Complete was founded to provide FREE advice to those who have questions. Complimentary higher education matching service College Complete(877-543-2655) today announced that it now includes crucial information for those looking to work in those looking to work in the medical records field and those looking to become health information technicians or enter medical billing and coding. Those looking to enter this expanding workforce can now go to http://www.collegecomplete.com/medical-records-and-health-information-technicians and see government statistics about education needs, job growth and salary. Jobs in medical records and health information technicians assemble patients’ health information including medical history, symptoms, examination results, diagnostic tests, treatment methods, and all other healthcare provider services. Technicians organize and manage health information data by ensuring its quality, accuracy, accessibility and security. There are also technicians who specialize in coding called medical coders or coding specialists. Medical coders assign a code to each diagnosis and procedure by using classification systems software. According to the Bureau of Labor and Statistics job prospects should be very good, particularly for technicians with strong computer software skills. Entrants usually have an associate degree. This is one of the few health-related occupations in which there is no direct hands-on patient care. Entry-level medical records and health information technicians usually have an associate degree. Many employers favor technicians who have a Registered Health Information Technicians (RHIT) credential. Education and training. Medical records and health information technicians generally have an associate degree. Typical coursework in health information technology includes medical terminology, anatomy and physiology, health data requirements and standards, clinical classification and coding systems, data analysis, healthcare reimbursement methods, database security and management, and quality improvement methods. Applicants can improve their chances of admission into a postsecondary program by taking biology, math, chemistry, health, and computer science courses in high school. People can contact your personal Education Advocate by filling out an information request form on CollegeComplete.com or by calling 877-543-2655. Their assistance is available at no cost to you. College Complete is actively looking to reach out to the public about their free service through sponsorship of Justin Lofton, driver of the Number 6 Chevrolet Silverado owned by Eddie Sharp Racing, in the NASCAR Camping World Truck Series. 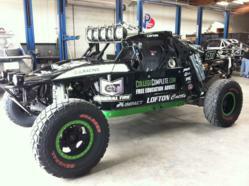 They will also be sponsoring Justin Lofton next weekend in the Mint 400 off-road race in Las Vegas.